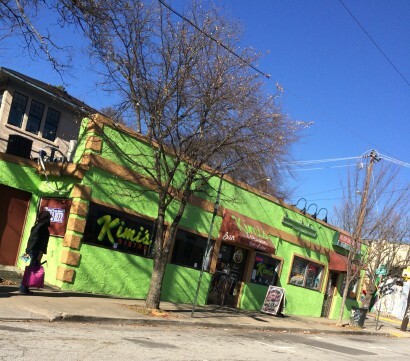 Kimi’s Bistro is located in a prime location in the eclectic neighborhood of Little Five Points. 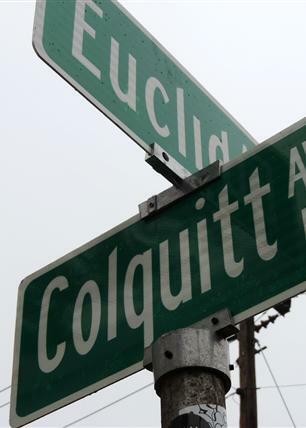 It opened its’ doors July 4, 2012 in the heart of Little Five Points, Atlanta. It is among some of the city’s cool casual dining spots. Kimi’s Bistro offers an array of drink options; from classic American to Ethiopian Cuisines, to salty Breakfast to sweet Crepes. Kimi’s takes pride in creating food that suits your pallet; for a quick bite and good company in a casual atmosphere. This location has historically been occupied by Sweet Lime and OMG Taco. People know to come to this location for good food with a unique twist. Kimi’s Ethiopian and Crepe specialties offer unique cuisines that other neighboring restaurants are not able to provide. Depending on how you look at it, the attached convenient store is either a blessing or a curse. The sister store provides more foot traffic, but further confusion as to what Kimi’s Bistro actually is. The current brand identity for Kimi’s Bistro does not convey the unique food offerings or the compassion of the staff. With such well known restaurants that preciously operated out of the the same location, Kimi’s Bistro could benefit from a re-branding that allowed the Little Five Points passersby a better awareness of what the restaurant represents. Kimi’s Bistro serves breakfast all day, and American, and Ethiopian food.